If you find hair loss after washing your hair or when combing in large quantities will certainly make people who experience it to be anxious. Although in fact, hair loss is a natural thing and it must happen to everyone. But what you need to watch out for is that if hair loss is excessive, it can lead to baldness. 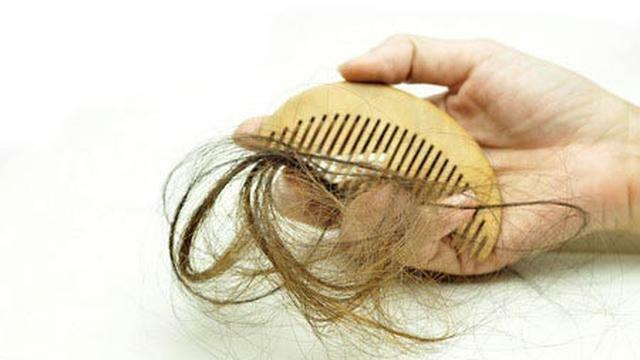 Poor nutrition intake causes hair strands that grow to become thinner and more fragile, so the hair becomes falling out. Be careful for you who are on a diet, because an extreme diet can cause hair loss. You may lack the zinc and protein needed by hair. Hormonal changes that occur in pregnant women can cause hair loss. The drugs you consume can also be one cause of your hair fall out. Examples of drugs commonly used to treat depression, heart problems and high blood pressure. Psychological conditions such as stress, depression, or severe physical stress, for example after undergoing major surgery, or after childbirth will cause hair loss. However, hair loss due to psychological conditions will not make people who experience it bald, and can be reduced by itself without medical treatment. Aloe vera famous for its usefulness to nourish hair. Vitamin A, D, and iron and protein contained in it can cope with hair loss. How to use it is very easy, just apply a gel contained in aloe vera evenly on the hair and scalp, then let stand for fifteen minutes, then rinse with warm water until clean. Perform this hair care every day regularly to reduce hair loss, yes. Olive oil contains vitamins A, C, D, E, and K and iron and calcium that can reduce hair loss. Rub olive oil on the scalp and hair evenly, massage gently and let stand for half an hour. After that, clean it with a shampoo like washing your regular hair. Do it daily on a regular basis to get maximum results. You can also use coconut milk to make hair smooth and manageable, so do not fall off when combed. The way is simply by applying coconut milk to the entire surface of the hair until the scalp and let stand for thirty minutes. After that, rinse with shampoo and clean water. The content of calcium, vitamin D, potassium and protein contained in yogurt can provide nutrition and help strengthen the hair roots. You simply apply fresh yogurt to the entire surface of the hair while massaging the head as it is creambath, leave for 5 minutes, then clean the hair with shampoo and clean water. Avoid tying the hair too tight as ponytail or braided. Stop the habit of pulling and twisting the hair. Change the habit of rubbing your hair firmly when washing your hair to make the hair more soft. Then also avoid using nails when scratching the scalp. Get used to eating a balanced diet every day.